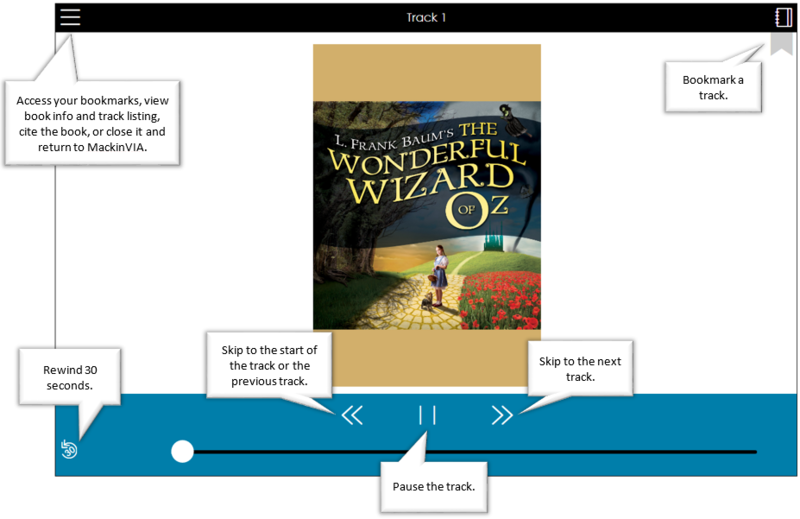 How do I use the MackinVIA Reader to listen to digital audiobooks? 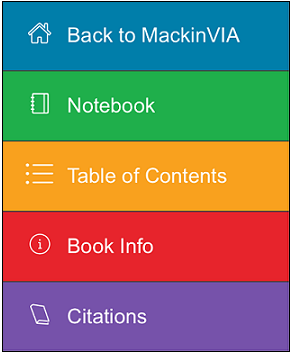 Notebook: View a list of your bookmarks. Select an entry to be taken to that location in the book. Table of Contents: Access the track listing. Select a track to be taken to that location in the book. Book Info: View book information including title, author, publisher, date of publication, and audio length. Play/Pause Button: Play or pause the track. Forward Button: Skip to the next track. 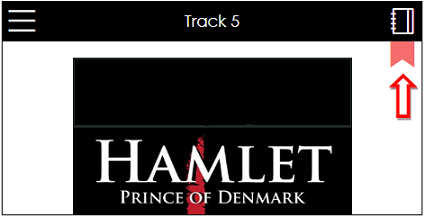 Back Button: Skip to the start of the track or the previous track. Rewind Button: Rewind 30 seconds. 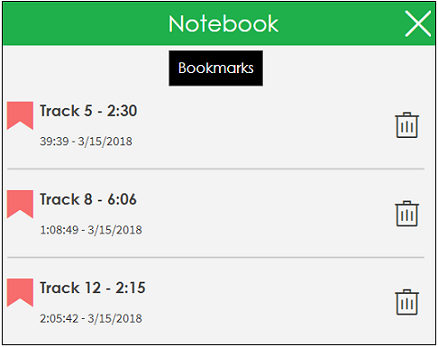 To add a bookmark to a track, click on the bookmark icon. Your bookmark will be saved to your Notebook within the title. To view your saved bookmarks, click on the Notebook icon in the upper right corner or access your Notebook from the main menu. Select an entry to be taken to that location in the book.